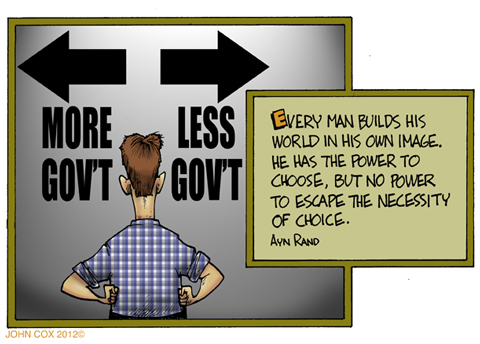 I've always wished I'd known Ayn Rand before she left us. I have every book she's written that I could get my hands on. I'm not much of a fiction reader, but I'm acquiring a taste for it from reading her fiction. And no power to escape the results of his choice. Did you enjoy the Chabon book? Hey John, thanks for reminding me. I'd put it into my shopping basket, but I hadn't done the "order now" routine. It usually takes about week to get here. Will let you know when it it comes. Shalom from Israel to you and your faithful followers. This page contains a single entry from the blog posted on November 7, 2012 1:45 AM. The next post in this blog is More Of The Same.